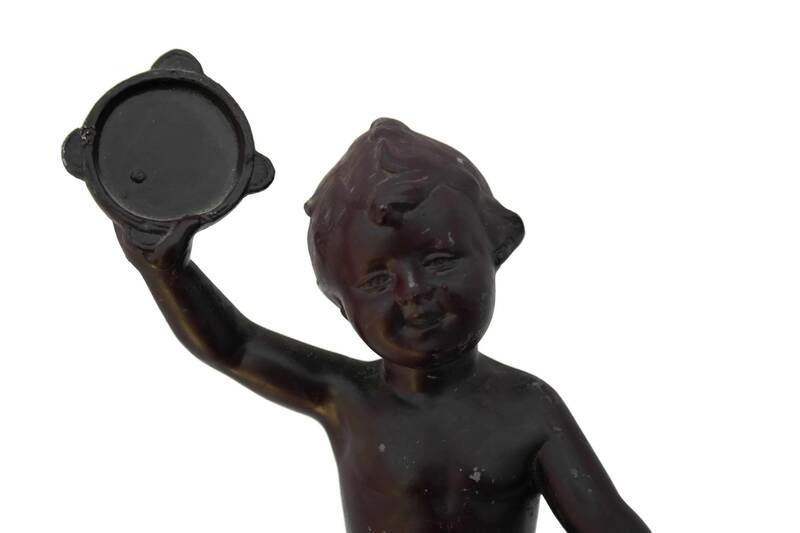 French Antique Cherub Figurine with Tambourine. 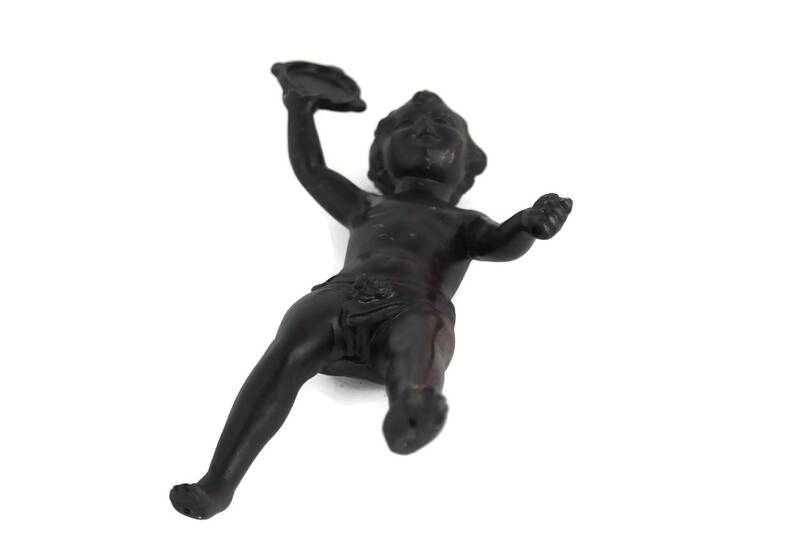 Musical Angel Statuette. 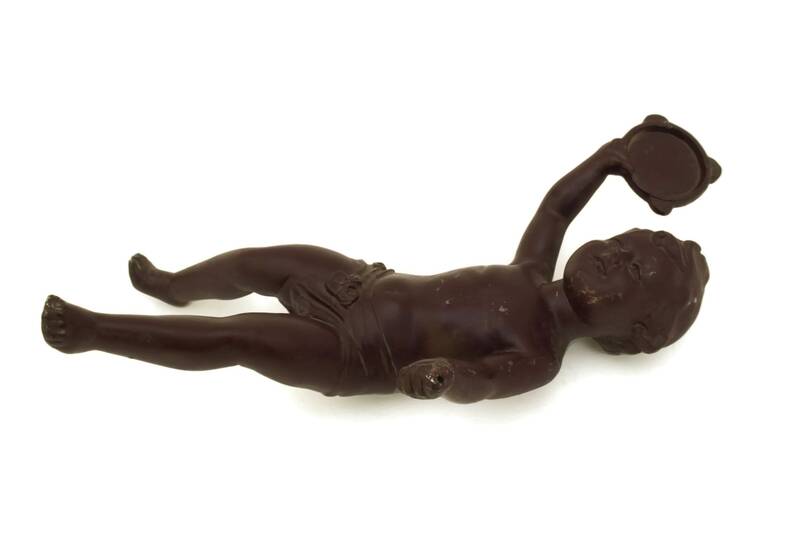 Cupid Figure. Shabby French Home Decor. Valentine Gift. 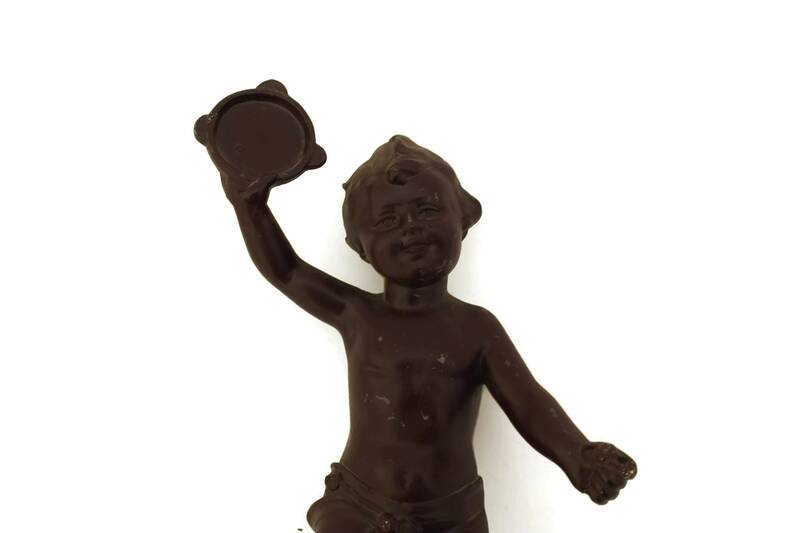 A delightful French antique cherub figurine with a tambourine dating to the early 1900s. 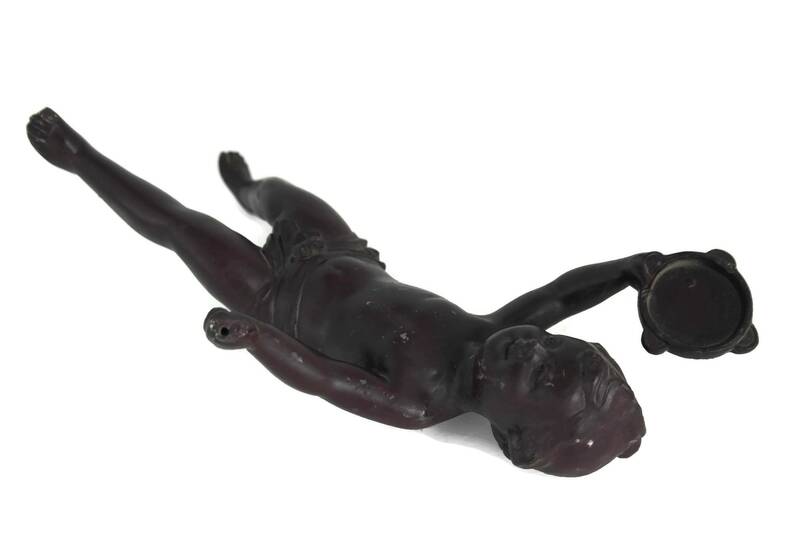 Originally the musical angel statuette was decorating a large French chandelier. 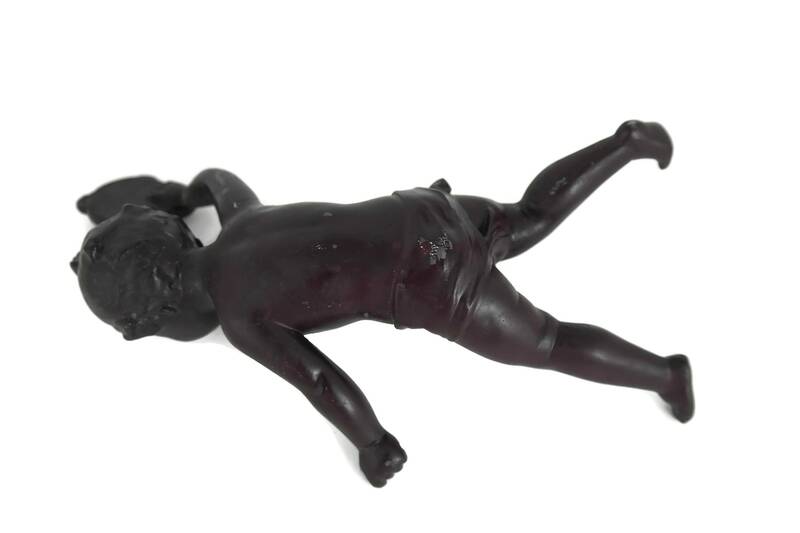 It has been cast from spelter and has been decorated in a deep shade of wine red. 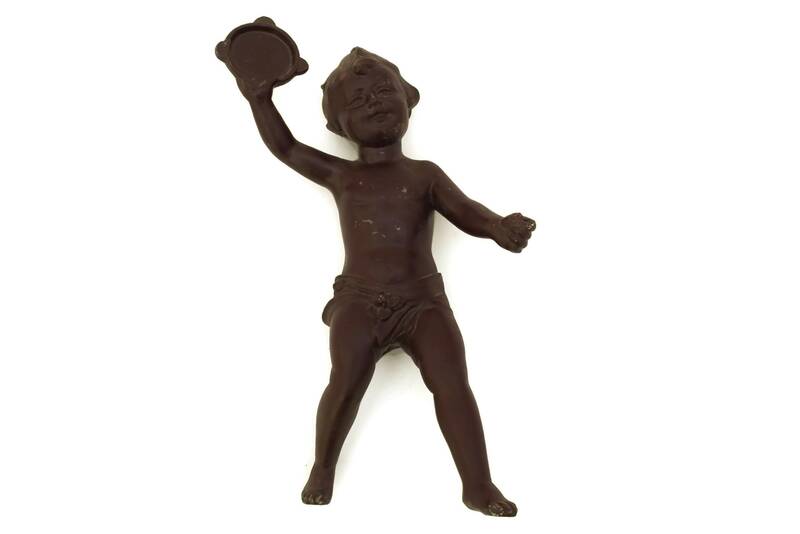 The Cupid figure features charming details and is filled with expression. 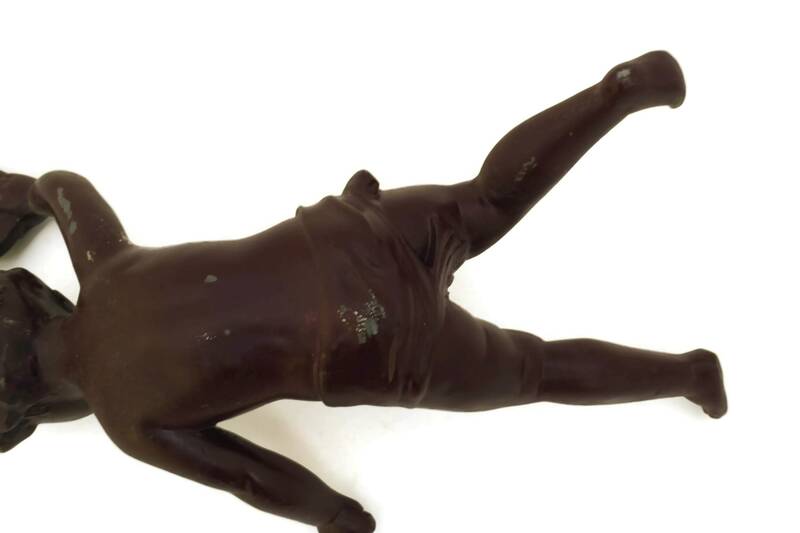 It will make a lovely addition to your Shabby French home Decor or a unique Valentine's gift. 9" Tall x 5" Wide (23 cm x 13 cm). 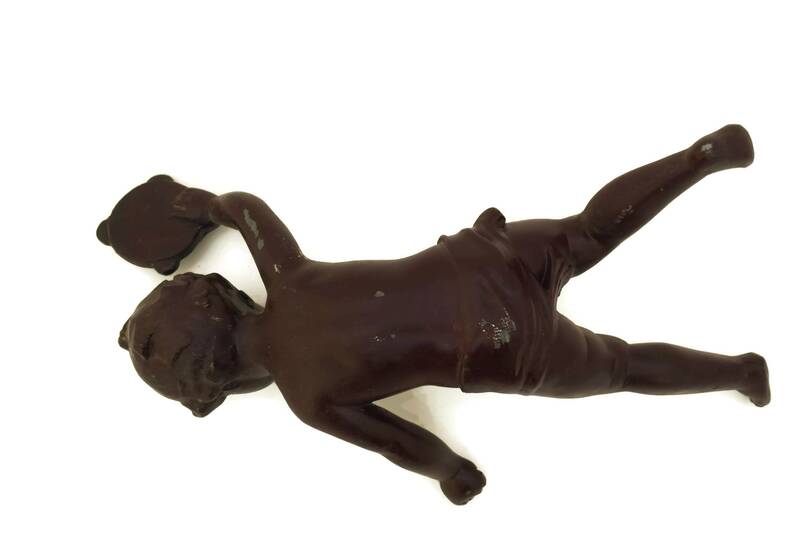 The antique Cherub figurine is in very good condition with light signs of age and wear including small flakes and scratches to the surface patina. 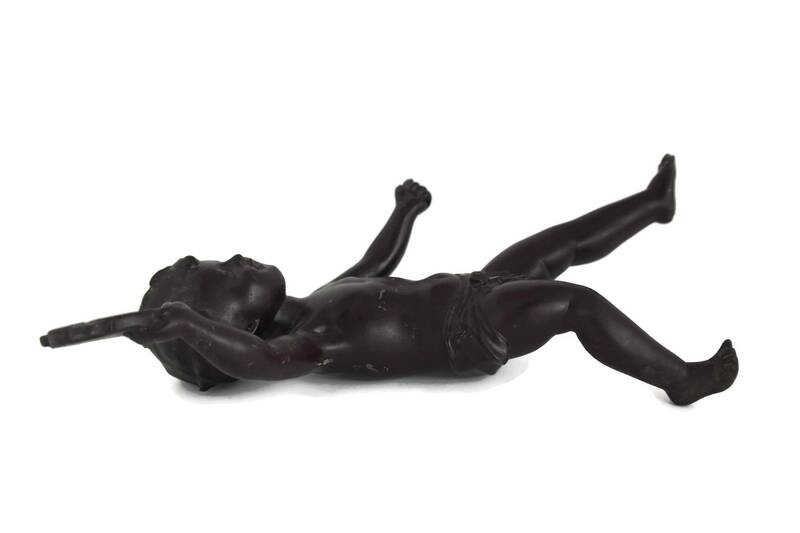 There are small holes on the soles of the feet and in the cherub's left hand where it was once attached to a French chandelier. The left thumb and big toe of the tambourine player have some signs of damage and wear.